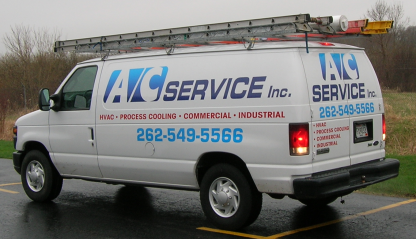 A/C Service Inc. was incorporated in February of 1988 by Al Paradowski and Cliff Lutes. Both had been in the Commercial/Industrial HVAC service/installation industry for many years, and felt they could best utilize their skills and talents by starting their own business. From the beginning, they focused on the service end of the business, and on building long-term relationships with their customers. The business prospered, and soon was installing new/replacement equipment as well as servicing existing systems. 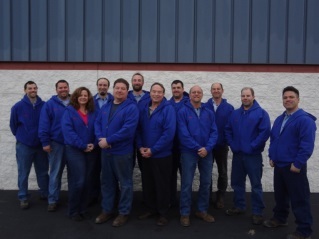 Our nine-person field crew has a combined 167 years of trade experience. An average A/C Service Inc. customer has been with us for 15+ years, and some for as long as we have been in business. Our office estimating and field personnel are all highly trained trade mechanics, with Sheet Metal Journeyman, Refrigeration Journeyman, Refrigeration Apprentice, and Maintenance Tradesman skills represented. All hold required certifications for the trade they practice, such as DNR and EPA Refrigerant Handling licenses, as well as any misc. certifications or licenses required for performing their work, such as air balancing, fork truck driving, etc. The owners of A/C Service Inc. work full-time for the company, and help to assure continuous and ongoing quality checks. All personnel are required to attend frequent continuing education related to both their trade and to safety issues pertinent to a modern HVAC Service and Installation contractor. (As an example, all A/C Service Inc. Service Dept. personnel have recently been Arc Flash trained and certified and each truck is equipped with required personal protective equipment.